ConferenceSeries Ltd is delighted to invite all the participants across the globe to the prestigious event, 2nd International Conference on Enzymology & Molecular Biology which is going to be held during March 20-21, 2017 at Rome, Italy. This is an excellent opportunity for the delegates from Universities and Institutes to interact with the world class Scientists. The conference revolves around the theme – “Exemplifying the Prominence of Enzymology among Interdisciplinary Sciences”. The broad subject coverage of the Conference and its size provide an excellent setting for participants to gain valuable insight into progress in research areas beyond their own. In addition, a range of special sessions aim to engage participants on wider issues, such as teaching in the enzymology and molecular biology research. The Enzymology Conference has a strong emphasis on support and inspiration for the next generation of scientists, along with early-career researchers, a Young Researchers Forum, and activities to encourage interaction with peers and experts. Altogether the conference aims to be an exemplary cross-discipline gathering in the proteomics life sciences for research presentation, discussion, learning, inspiration and encouragement with participants leaving with new research knowledge and ideas, and perhaps the beginnings of international collaborations and associations. Biochemistry, sometimes called biological chemistry, is the study of chemical processes within and relating to living organisms. By controlling information flow through biochemical signalling and the flow of chemical energy through metabolism, biochemical processes give rise to the complexity of life. Over the last decades of the 20th century, biochemistry has become so successful at explaining living processes that now almost all areas of the life sciences from botany to medicine to genetics are engaged in biochemical research. Today, the main focus of pure biochemistry is on understanding how biological molecules give rise to the processes that occur within living cells, which in turn relates greatly to the study and understanding of tissues, organs, and whole organisms - that is, all of biology. 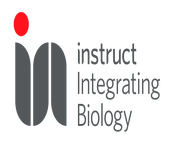 8th International Conference on Proteomics and Bioinformatics, May 22-24, 2017 Osaka, Japan; 2nd International Conference on Nucleic Acids, Molecular Biology & Biologics , August 31-September 01, 2017 Philadelphia, USA; 10th International Conference and Exhibition on Metabolomics Oct 16-17, 2017 Baltimore, USA; 9th International Conference on Bioinformatics October 23-24, 2017 Paris, France; 9th International Conference and Expo on Proteomics October 23-25, 2017 Paris, France; 3rd International Conference on Lipid Science & Technology December 11-13, 2017 Rome, Italy; 22nd Annual Lorne Proteomics Symposium, February 2-5,2017, Victoria , Australia; The 31st Symposium of The Protein Society, July 24-27, 2017 Montreal, Canada. ; The 13th PEGS Boston May 1-5, 2017, Seaport World Trade Center; ICPP 2017 : 19th International Conference on Protein and Proteomics November 24 - 25, 2017, Dubai, UAE. 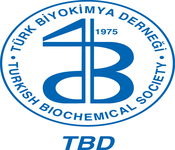 The Biochemical Society, UK; International Society for Enzymology, Greece; American Society for Biochemistry and Molecular Biology, USA; Federation of European Biochemical Societies, UK; American Chemical Society, USA; Canadian Society for Biochemistry Molecular and Cellular Biology, Canada; International Union of Biochemistry and Molecular Biology, Canada; Biochemical Society Transactions, UK; The Protein Society, USA; The Australian Society of Plant Scientists, Australia; The Federation of American Societies for Experimental Biology, USA, The Croatian Society of Biochemistry and Molecular Biology, Croatia, The Association for Clinical Biochemistry and Laboratory Medicine, UK. Enzymes are proteins processing cellular metabolism. They can affect a reaction by catalysing and they can be used to reverse the reaction in bio-chemical pathways. Though enzymes have complex enzyme structure they undergo many changes which is very important for reactions and so enzyme structure is very important. There is a specific enzyme for specific reaction. Enzymes structures are made up of α amino acids which are linked together via amide (peptide) bonds in a linear chain. This is the primary structure. The resulting amino acid chain is called a polypeptide or protein. The specific order of amino acids in the protein is encoded by the DNA sequence of the corresponding gene. Molecular enzymology is designing and synthesis of enzymes and high unmet medical needs are based on innovative drug targets. The work of designing and synthesis of enzymes and high unmet medical need are based on innovative drug targets. Molecular Enzymology's interest include in all aspects related to enzymes like discovery of enzymes, enzyme structure, enzyme mechanisms, cellular and metabolic functions of enzymes, exploitation of enzymes for biotechnological and pharmaceutical applications, drug discovery, biochemical aspects of enzymes, bioinformatics, computational analysis, molecular modelling studies, new methods in enzyme expression and purification, bio catalysis, bio molecular engineering, enzyme kinetics and inhibitors. Drug target is a nucleic acid or a protein (e.g. an enzyme, a receptor) whose activity can be modified by a drug. The drug can be a small-molecular-weight chemical compound or a biological, such as an antibody or a recombinant protein. The drug target should have been shown to be effective/mechanistically involved in the disease by relevant in vitro or in vivo models. Epigenetics is the study of heritable changes of gene expression without any change in the DNA Sequence which mainly includes processes such as DNA Methylation, histone modification and gene silencing. On-going novel researches are continuously discovering the character of epigenetics in a variety of fatal diseases and human disorders. Recombinant DNA technology involves joining together of DNA molecules to produce some new genetic combinations by inserting it into a host organism. Now a days Scientists are carrying out many novel researches in the field of recombinant DNA technology to bring revolution in the field of genetic engineering of crops, animals and medicine. Molecular simulations and modelling are changing the science of enzymology. Calculations can provide detailed, atomic-level insight into the fundamental mechanisms of biological catalysts. Computational enzymology is a rapidly developing area, and is testing theories of catalysis, challenging 'textbook' mechanisms, and identifying novel catalytic mechanisms. Increasingly, modelling is contributing directly to experimental studies of enzyme-catalysed reactions. 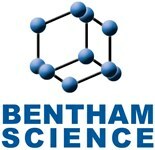 Potential practical applications include interpretation of experimental data, catalyst design and drug development. Enzyme kinetics is the study of the chemical reactions that are catalysed by enzymes. In enzyme kinetics, the reaction rate is measured and the effects of varying the conditions of the reaction are investigated. Studying an enzyme's kinetics in this way can reveal the catalytic mechanism of this enzyme, its role in metabolism, how its activity is controlled, and how a drug or an agonist might inhibit the enzyme. Enzymes are used in the chemical industry and other industrial applications when extremely specific catalysts are required. Enzymes in general are limited in the number of reactions they have evolved to catalyse and also by their lack of stability in organic solvents and at high temperatures. As a consequence, protein engineering is an active area of research and involves attempts to create new enzymes with novel properties, either through rational design or in vitro evolution. These efforts have begun to be successful, and a few enzymes have now been designed "from scratch" to catalyse reactions that do not occur in nature. Enzymes are usually protein molecules that manipulate other molecules — the enzymes substrates. These target molecules bind to an enzyme's active site and are transformed into products through a series of steps known as the enzymatic mechanism. In the presence of an enzyme, the reaction runs in the same direction as it would without the enzyme, just more quickly. For example, in carbonic anhydrase catalyses its reaction is either direction depending on the concentration of its reactants. The rate of a reaction is dependent on the activation energy needed to form the transition state which then decays into products. Enzymes increase reaction rates by lowering the energy of the transition state. 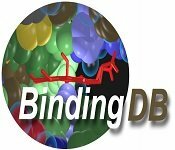 First, binding forms a low energy enzyme-substrate complex (ES). Secondly the enzyme stabilises the transition state such that it requires less energy to achieve compared to the un catalyzed reaction (ES‡). Finally the enzyme-product complex (EP) dissociates to release the products. Enzymes are catalysts that increase the rate or velocity of physiologic reactions. Each and every reaction in our body takes place with the help of an enzyme. In general, most enzymes are present in cells at much higher concentrations than in plasma. Measurement of their levels in plasma indicates whether their tissue of origin is damaged leading to the release of intracellular components into the blood. This forms the basis of clinical enzymology. Thus clinical enzymology refers to measurement of enzyme activity for the diagnosis and treatment of diseases. Food enzymology covers basic and applied aspects of the enzymology important to food systems. The basic aspects of the course include: methods of measuring enzymatic activities; extraction of enzymes from microbial, plant and animal systems; methods of enzyme purification and characterization; and regulation of enzyme activities by activators, inhibitors, and by covalent modification. Applied aspects of the course focus on enzymes used by the food industry and methods for controlling endogenous enzyme activities. Students develop novel food concepts based on enzymatic reactions/processes. It is a pleasure and privilege to welcome all the participants of the International Conference on Enzymology which is to be held in March 20-21, 2017 at the capital city of Rome, Italy. I regret not be able to attend and to participate in this International Conference on Enzymology – having been invited elsewhere to attend a different meeting going on at the same time. Of course, we all are aware of the wealth of three-dimensional structural information of proteins and nucleic acids available by X-ray crystallography, and -- more recently -- by computer assisted image reconstruction techniques to analyze images in random orientations obtained from low-temperature electron-microscopy. What is missing from these studies – however -- is an understanding of the dynamical nature of these macromolecular structures, which lead to the necessary allosteric conformational-changes to carry out their biological activity. I have recently proposed the existence of (what I have called) premeltons in DNA -- these being examples of (what are known as) breather-solitons in DNA. The existence of premeltons in DNA explains how drugs and dyes intercalate into DNA. In addition, the centers of premeltons are predicted to nucleate DNA-melting – and therefore it comes as no surprise -- that the centers of premeltons signal the beginning and ends of genes! This realization suggests an allosteric mechanism to understand how the RNA polymerase binds to and melts the promoter, how it is able to move along DNA while synthesizing RNA, and how transcription ends at the terminator. You will undoubtedly hear more about this at future meetings. I hope you enjoy this International Conference on Enzymology. Have a wonderful time! Enzymology involves the study of enzymes and their structures. The reports in this section analyse the global enzymology market by application, equipment, tools, methodologies, software, and services. The applications segment for instance covers the markets for enzymology-based diagnosis and therapy; while the equipment segment covers markets for technologies such as microarrays, Ultrasonic processing, and Gel electrophoresis. Drug discovery forms the highest revenue-generating application market of enzymology. The reports give us the latest and forecasted revenues of all these market segments; and also provide us the exhaustive analyses of current trends, market, growth strategies, and opportunities that are adopted by the key market players. Enzymology is the recent technology growing rapidly due to its higher application in a lot of fields and due to having bright and clear future vision. A most exciting development over the last few years is the application of genetic engineering techniques to enzymology. There are a number of properties which may be improved or altered by genetic engineering including the yield and kinetics of the enzyme, the ease of downstream processing and various safety aspects. Enzymes from dangerous or unapproved microorganisms and from slow-growing or limited plant or animal tissue may be cloned into safe high-production microorganisms. New enzyme structures may be designed and produced in order to improve on existing enzymes or create new activities. A number of possibilities now exist for the construction of artificial enzymes. These are generally synthetic polymers or oligomers with enzyme-like activities, often called synzymes. Enzymes can be immobilized i.e., an enzyme can be linked to an inert support material without loss of activity which facilitates reuse and recycling of the enzyme. Use of engineered enzyme to form biosensor for the analytical use is also recent activity among the developed countries. Some enzymes make use in diseases diagnosis so they can be genetically engineered to make the task easier. Thus it is obvious that there is huge scope of the enzyme technology in the future as well as in present. Rome is the capital of Italy and the biggest city in Italy. It's additionally home of the Vatican City State. Rome is a clamouring city that offers understudies a huge abundance of history, society and worldwide impact readily available. With its numerous areas and sprawling verifiable locales, Rome gives you the feeling of being in a residential community, notwithstanding the actuality of being home to right around 3 million individuals. 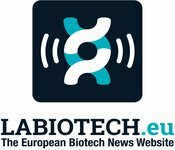 Meet Your Target Market with recent business reports on Enzymology making news which manifests the tremendous growth in market value for enzymology technology till 2019. Since enzymology interrelated with omics sciences like Genomics, precision Medicine, Proteomics, Lipidomics, Fluxomics and Transcriptomics, it would be a great opportunity for companies dealing with Analytical instruments useful in these fields. Also many upcoming students and researchers can benefit themselves by participating world class International workshops, symposia during the conference which will be conducted by experts in the respective fields. German Chemical Society E. V.
Directors/Managers & Business Delegates, Director of Laboratories, Universities, Industries, Investigators, Post-Doctoral Fellows, Research and Diagnostic Laboratories, Clinical Fellows, Students, Biomedical Research companies. 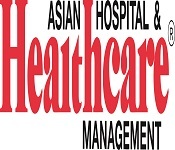 Rise in the number of clinical trials, toxicological studies, and health awareness for nutritional products, rapid growth of enzymology data analysis software and solutions, and use of enzymology as diagnostics tool for biomarker screening of diseases is expected to propel the growth of this market. The market for food enzymes is projected to reach USD 2.94 Billion by 2021, at a CAGR of about 7.4% from 2016. This market is fuelled by the growing awareness among consumers toward the health and nutritional benefits of food enzymes and the growth of end-use applications of food enzymes in the food and beverage industry. The technical enzymes market is projected to reach USD 1.27 Billion by 2021, at a CAGR of 3.4% from 2016 to 2021. The technical enzymes market is also segmented on the basis of region into North America, Europe, Asia-Pacific, and the Rest of the World (RoW). The key players in the market are BASF SE (Germany), E.I. du Pont de Nemours and Company (U.S.), Associated British Foods plc (U.K.), Koninklijke DSM N.V (The Netherlands), and Novozymes A/S (Germany) among others. The industrial enzymes market was valued at USD 4.2 Billion in 2014 and is projected to grow at a CAGR of 7.0% from 2015 to 2020. In 2014, the market was dominated by North America. The Asia-Pacific region is projected to grow at the highest CAGR from 2015 to 2020. Enzymology Market Worth $4,100 Million by 2024 - New Report by Markets and Markets. Enzymes market is projected to show high gains in light of its extensive usage in food processing, germination in breweries, pre-digestion of baby food, fruit juice clarification, meat tenderization, cheese manufacturing, and conversion of starch into glucose. 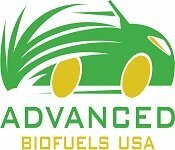 Also, favourable government policies by the U.S., Austria, France, Germany, Italy and Sweden to promote biodiesel production will fuel demand over the next eight years. The scope of enzymology has expanded rapidly over the last century, from an early focus on the chemical and catalytic mechanisms of individual enzymes to more recent efforts to understand enzyme action in the context of dynamic, functional biological systems consisting of many interacting enzymes and proteins. Continuing progress in probing the link between molecular structure and function now promises to pave the way for a deeper understanding of the evolution and behaviour of the complex biological systems that govern cellular behaviour. Remarkable progress in chemistry and biology over the last century has provided deep insights into two fundamental questions: how do molecular components give rise to functioning biological systems, and how do complex biological systems evolve? We now have, in mechanistic detail, a considerable understanding of how biological macromolecules control growth, metabolism, signalling and other biological processes at the level of individual components, while sequence and structural comparisons have revealed the molecular-level changes that distinguish evolutionarily related macromolecules. ConferenceSeries Ltd is delighted to invite all the participants across the globe to the prestigious event, 2nd International Conference on Enzymology & Molecular Biology which is going to be held during March 20-21, 2017 at Rome, Italy. Enzymology 2017 comes to grip with the sessions Enzymology & Biochemistry, Enzyme Kinetics, Clinical Enzymology, Structural Enzymology, Molecular Enzymology, Recombinant DNA Technology, Epigenetics, Enzymology in Drug Discovery, Computational Enzymology, Industrial Applications of Enzymology, Enzymology & Thermodynamics, Industrial fermentation processes for enzymes, Enzymology in Food Processing & Technology and Enzymology Case Study. ConferenceSeries Ltd coordinates 1000+ Global events every year across USA, Asia & Europe with support from more than 1000 scientific societies and publishes more than 700 Open access journals which involves over 100,000 eminent personalities, distinguished scientists as editorial board and organizing committee members. ConferenceSeries Ltd is authorized by International Congress and Convention Association. World Congress & International conference as momentously captivated by Nobel Laureate, International Symposiums and Workshops, Exhibitions, Keynote gatherings and Delegates. For more conferences from Conference Series, Kindly go through conference series web page. It is my honor and pleasure to welcome all the participants of the International Conference on Enzymology at Rome, Italy. Enzymology is a very interdisciplinary field and this meeting indeed is most inclusive. Consequently, topics that will be addressed range from basic science to clinical issues, and from organic chemistry to biology. I regret I cannot make it this time due to previous commitments, but am sure you will all have a most interesting time at talks, discussions, poster presentations, and informal interaction with the many experts that will attend. Young and new scientist in particular should take advantage of this great opportunity to learn and be exposed to edge cutting research in the broad field of Enzymology. While in Rome, I also hope you will be able to enjoy the venue, this great and historic city, and the famous Italian hospitality.